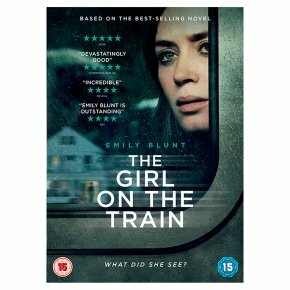 Emily Blunt, Rebecca Ferguson and Haley Bennett star in this psychological thriller, adapted from Paula Hawkins' novel. The film follows Rachel Watson (Blunt) who, after getting divorced from her husband Tom (Justin Theroux), takes the train to work every day, passing by her old home and fantasizing about a couple, Megan and Scott Hippwell (Bennett and Luke Evans), who live down the same street, and their perfect life together. After seeing Megan with another man, Rachel is so distraught she turns to alcohol and heads out for a night in the city. The next morning, with no memory of what she did the previous night, Rachel awakens to discover that Megan's disappearance is headline news. She quickly becomes obsessed with the case and tries to find out more about Megan's life but discovers her own interest in the couple's lives also makes her a suspect in the eyes of the police. The film was nominated for a BAFTA for Best Leading Actress (Blunt).